In the year Eleven-hundred-and-sixty when King Henry the Second sat on the throne of England, most of the land was still ruled by noble Barons, many descended from the Norman conquerors that had landed almost a hundred years before. Henry was a good king in many ways; trying to bring law and order to a mainly discordant country, but he was surrounded by people who did not always have his best interests at heart. The south of England was covered by a vast forest which stretched northwards from the coast to encompass most of Hampshire. In this wild woodland lived bands of marauding bandits, always eager to make a living by waylaying unsuspecting travellers. But there were also many families who scratched a living by working the fields for the Barons and the few pickings they could find on the forest floor. For these folk, life was harsh and it was from one such family that a young girl called Cathra came, but her future was to change in ways she had never dreamed of. A chance meeting in the woodland saw her whole life turned upside down. The air was still, hanging beneath the canopy of trees as though the forest was holding its breath. Dew sparkled on the grass, catching the sun's rays as they filtered through the branches, and a playful breeze moved among the topmost leaves to send them dancing as though to some unheard tune. The girl lifted her face towards the soft rustling and was soon lost in a world of her own. This was her special place; the place where the harsh reality of her life could be forgotten in a few brief moments of reverie. A robin came to sit on a nearby log, cocking his head to fasten a beady eye on her. She smiled and slowly moved her hand toward the tiny bird. He sat and stared for an instant, and then was gone. Even the birds do not wish to know me today, she thought sadly. She nearly jumped out of her skin and spun round to glare at the man who had appeared from nowhere. 'Who are you?' she asked rudely. 'They call me Richard, hereabouts.' The man smiled, unfazed by her sharp retort. 'Your speech is strange. Where are you from?' she demanded. 'Why is that?' he asked quietly. 'Oh!' Richard was at a loss. Why would such a lovely young maiden not wish to marry? 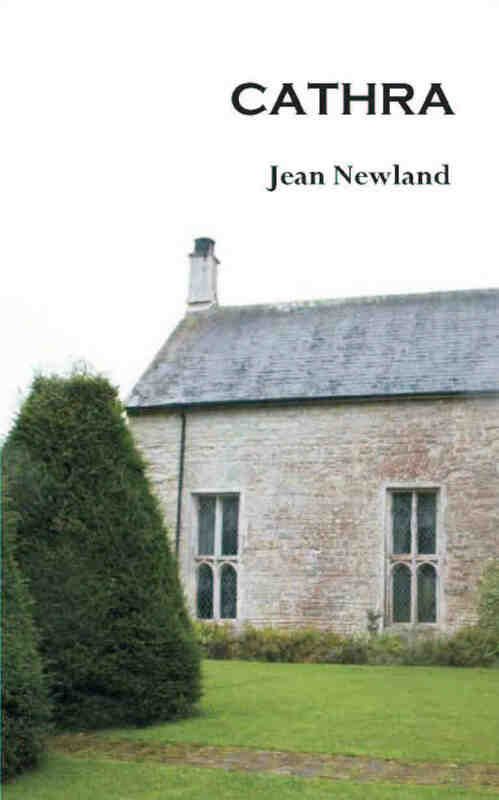 This is Jean Newland's fourth historical novel. Jean lives in Aldershot, Hampshire with her husband, is Hampshire born and bred and sets her books either wholly or partly in the county.